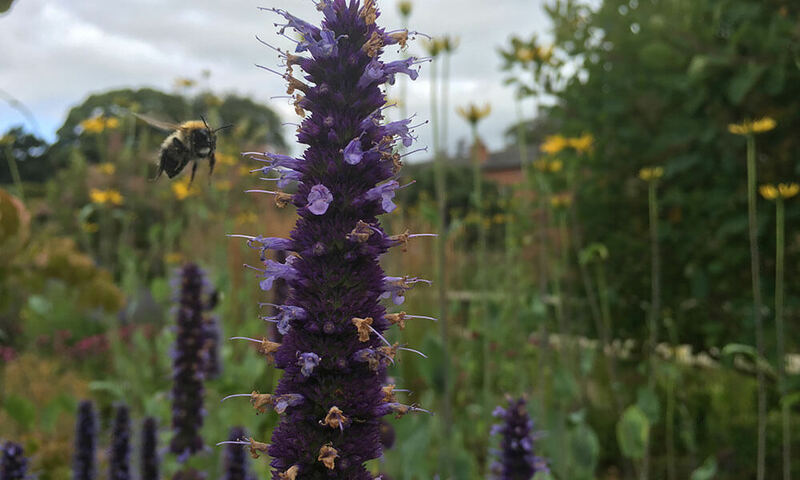 Most plants are not naturally well behaved and, when you see gardens where they are, close inspection will soon reveal an underlying support system. 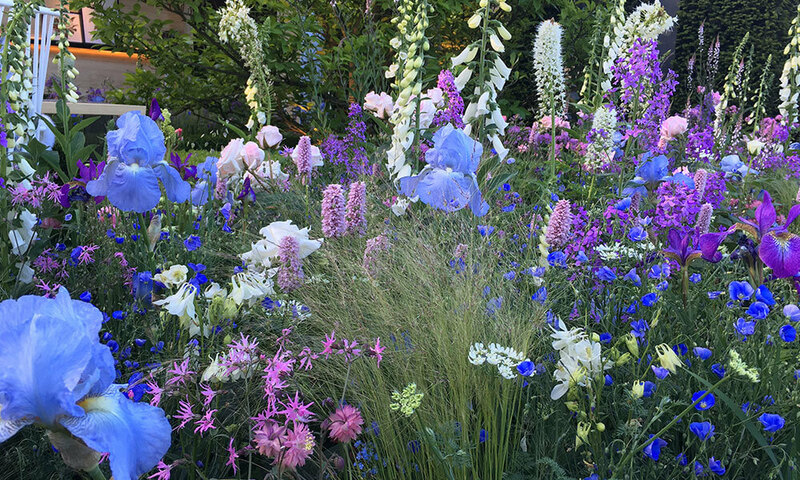 Whether its perennials in herbaceous borders, climbing roses, runner beans or clematis, left to their own devices they will scramble, sprawl or collapse in a generally untidy fashion. The key to success with plant supports is to get in early before there is a risk of damaging young shoots or trampling newly emergent growth underfoot. 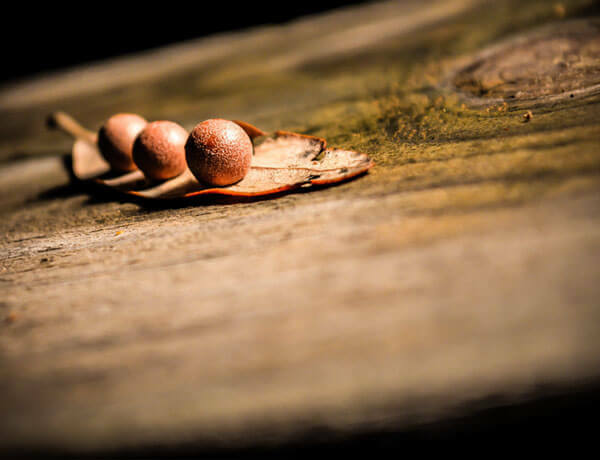 The ideal time to do this is when you are doing the early spring weeding, tidying and mulching – delay and you are likely to find that the plants have put on a growth spurt and it all becomes a lot more fiddly. There are essentially three types of plant support: the hidden, the rustic and the ornamental. 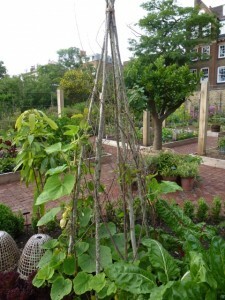 Hidden supports include wires fastened to walls and fences for tying in climbers and trained fruit. Traditionally this was done with vine eyes and hand-tensioned wire, but the Gripple system which has a self-tensioning system is far neater. 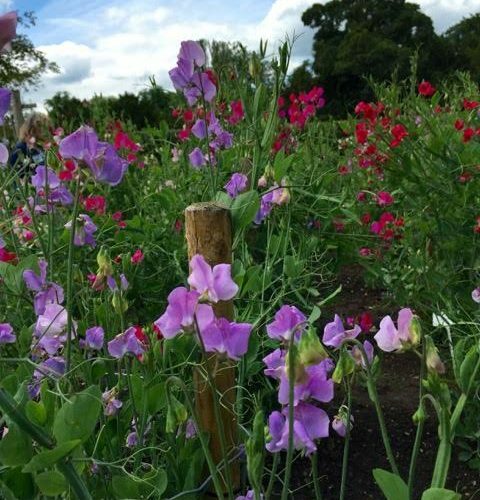 In the borders pea sticks can be used to support herbaceous plants, or alternatively large mesh wire or plastic netting stretched across, and sloping from back to front. 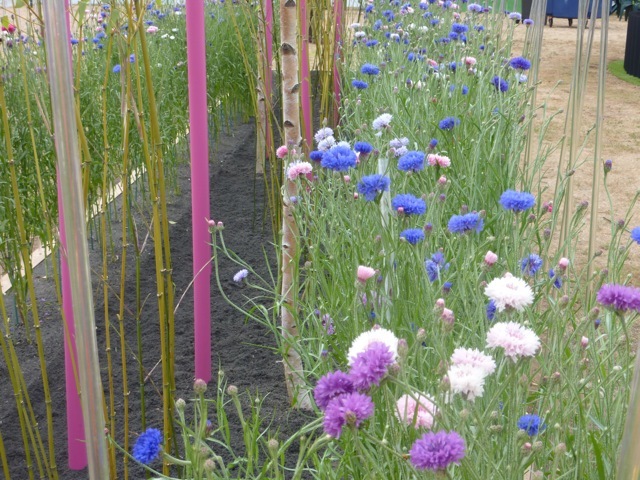 As the plants grow up and through this they will be held in position and be less likely to sprawl. 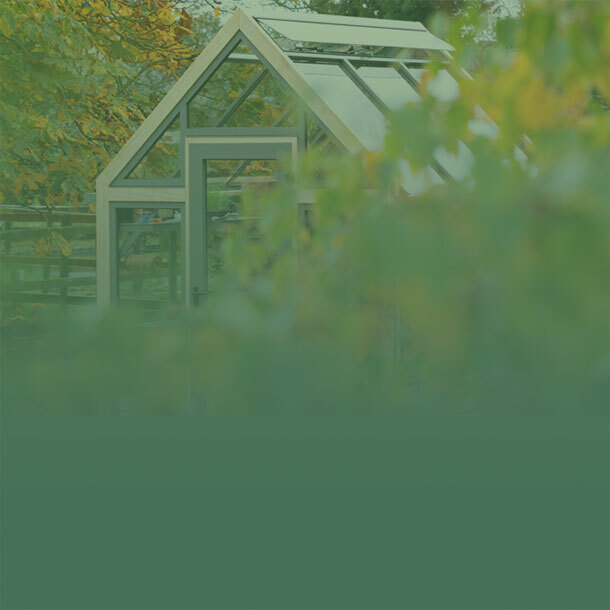 Although this is visible for the first few weeks while the plants grow through it, it will soon disappear from view and is the easiest solution for large areas. Black netting is less obtrusive than green. 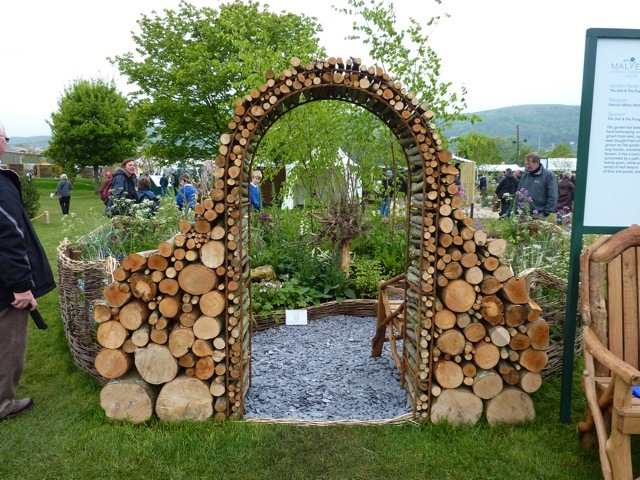 Should you want to get creative and weave your own hurdles or edgings for beds, an internet search for ‘hazel or willow rods’ will locate local or mail order suppliers. Part of the charm of using these materials is that they are natural and irregular and can be used as simply or as creatively as you choose. 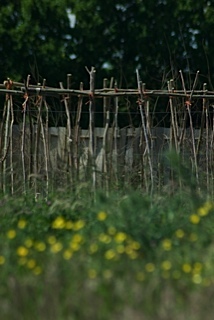 They do have a limited life, peasticks need to be discarded annually but beanpoles will last three or four years if lifted and stored off the ground or in the dry over winter. Or you could make your own metal supports like we do here on our youtube channel. 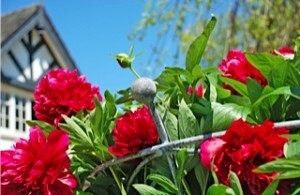 Ornamental plant supports, made from metal or wood lend the garden interesting structure during the months when they are not clothed in plants. There’s a huge range available, depending on your budget. 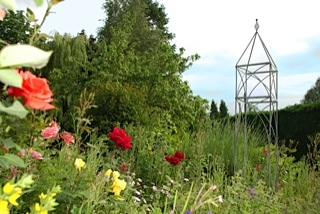 The galvanised wire structures from garden requisites are perfect for a formal garden, while tramway forge small round obelisk has a great range of decorative metalwork.Sculptor Alex Moore makes stunning contemporary obelisks. 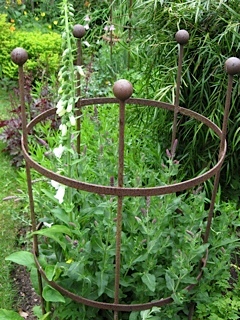 CC Rustics has a vast selection of decorative iron plant supports to suit every pocket. 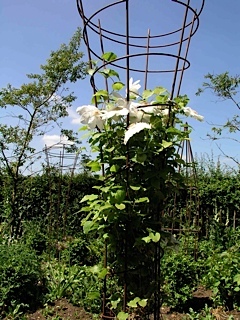 Wooden trellis and obelisks are the alternative and although they are less durable than metal, good quality designs have a more substantial presence than metal and work well in some gardens. As with most things in life, it pays to buy the best quality you can afford. Harrod Horticultural has a good range and an internet search should find local makers in your area. A visit to the long borders at RHS gardens at Wisley during spring or early summer will show fine and varied examples of plant supports before they are concealed by plants while the gardens at Sissinghurst and Pashley Manor both demonstrate techniques of plant support raised to a high art. So, don’t delay, support your plants today.